Currently seeking new opportunities. 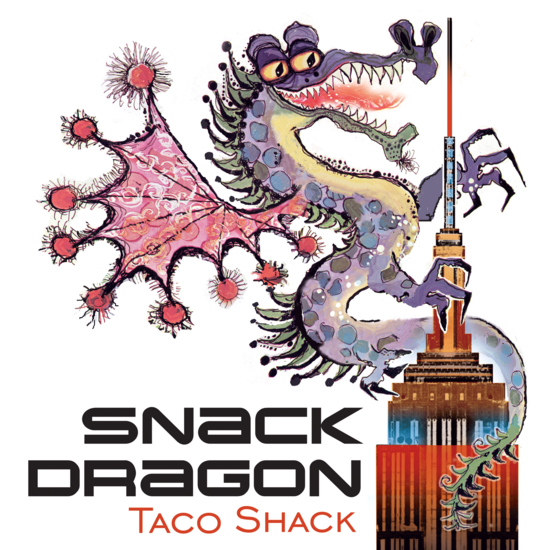 Snack Dragon Taco Shack operated as a highly profitable business in New York City for 10 years. As Owner and Creator of the Snack Dragon concept, I designed and built 3 small kitchens and dining areas in the heart of downtown NYC and Williamsburg. Snack Dragon pioneered a niche of healthy, inventive, inexpensive, late-nite authentic and fusion Mexican food in NYC at a time when there was none. As a cult hit I provided the downtown art/music scene and celebrities alike with 4 and 5 star rated food till the wee hours of the night. I employed a diverse group of creative types who largely stayed with Snack Dragon for up to 8 years. Conceived of, built and launched 3 new restaurants in NYC. Navigated the demanding logistics of running restaurants in NYC. On a daily basis worked with purveyors, trained and managed a diverse staff and worked my own shifts. Working at Snack Dragon was a very demanding multitasking-type job as it was an open kitchen so entertaining the customers was an integral part of the job. As the Executive Chef, I designed and implemented a menu that was made minute to minute, but was also accessible to the diverse skills of the staff that I hired. Preparing meals for holidays and events for film industry folk and institutions such as Rebecca Schull, MOMA Art Museum and various film sets throughout the years. Granted a fellowship through the Whitney Museum to have and work in a studio for a year in Tribeca, NYC. Was tutored by the current zeitgeist, while partaking in a rigorous Theory and Criticism Reading agenda. Studied Classical and Avant Garde Film Production. Was a member of Core Group—A 2 year film production group at SF State. —Streamlining production of menu items so that non chef types could prepare them. —Self-Taught Chef. Have been cooking complex recipes since I was a child. Was a line-cook for two years in a busy Denver restaurant when I was 16-17 years old. —Designing and Building spaces that are efficient for working in. Was a Prop Stylist and Art Director in the Film Industry for years. Own tools.